Our small business, which is made up of three renovated stone houses from our grandfathers,built on the starting point of ancient buildings, with marble in their building materials. They are found inside the ancient area of Aliki, which is considered to be an archaeological area, which is preserved in its original form and architecture. 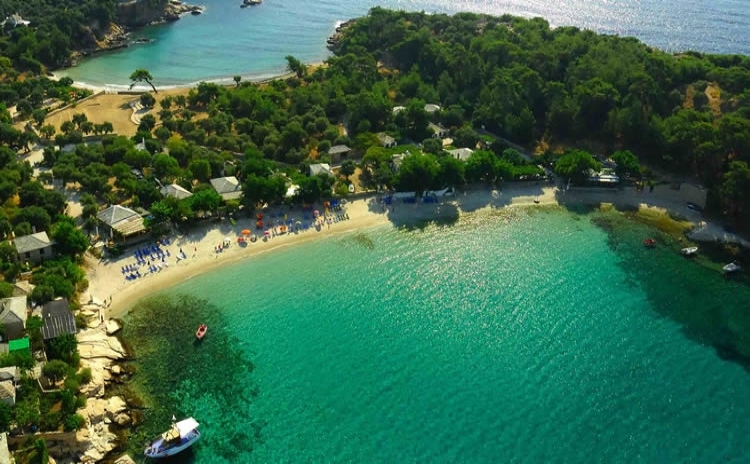 They are built between the olives on a small piece of land, 1000 2m which is joined with the beach by this beautiful bay. The first house is able to entertain 6 persons the second 6 and the third 4 persons. Each home has its own yard. It is furnished and decorated with traditional carpets and antiques. Close to these houses are some taverns and coffee shops. (From April to October). You can rent them in all the seasons of the year, you can even enjoy Aliki inside the Heart of winter if you like the sense loneliness and nights close to the fire-place.